The description sounds like I'm getting a solid wood frame. What arrived was a printed laminate of the wood style on pressed wood. Don't be fooled. And then there is the shipping and handling costs. Way out of line with the product. Hi Jim, thank you for your feedback. We apologize that you have had this experience. This is certainly not the way we wish to leave things with you. 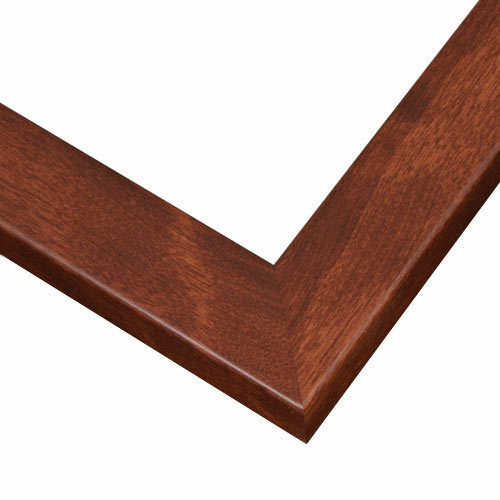 This frame is made from an eco-friendly upcycled wood fiber that is mentioned in our description. We do our best to ensure you know everything there is to know about your frame before you purchase. We do, however, know that eco-friendly options are not for everyone. This is why we offer a 45 day return policy to ensure we can make things right. If you have any further questions or concerns, please don't hesitate to contact one of our framing experts at 1-800-332-8884. They are available Monday-Friday from 8am-7pm eastern standard time. Frames arrived in perfect condition. Once they were put together and hung on the wall our family room took on a new look. Would differently recommend them. The frame, matting, and all other materials look great and were easy to assemble. The wood for the frame is beautiful and I would order this again. I have recommended pictureframes.com to friends and family. Excellent value. Beautiful natural wood grain finish. 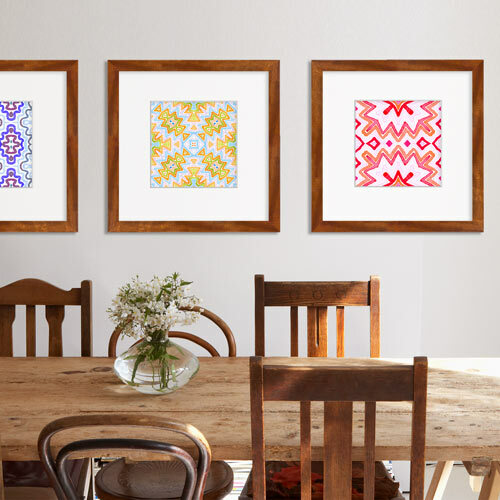 A frequent go-to for both framing customers and my personal art work. It is a simple, plain frame. I'm using it for an oil painting of a puppy dog for my grandson's dog. It fit the painting, one of many I have painted. Thanks. I was disappointed that the frame does not. One with any hanging hardware. Hello Janet. Thank you for your review. I appreciate you speaking with me today over the phone. We apologize that the frames did not come with the hanging hardware. We send free hardware with all our frames and we regret this inconvenience. The hardware we are sending you will arrive by the end of the week. If you need further assistance, please let us know. Happy Framing! I chose this frame because the color will enhance my photograph. I like the modern, simple look of this frame. I frame with mostly HP frames for the clean, consistent gallery look. This frame allows all of my different styles and subjects of art to blend in a show. Rich tone. 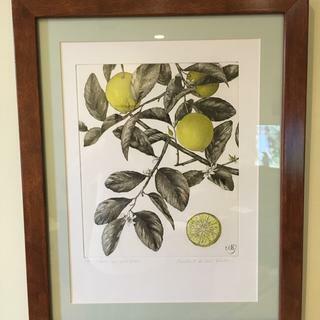 Chosen by a framing customer. It fit the need for a special Father's Day Gift painting. I've already matted the piece and I believe that the frame color will complement the piece. Hope the catalog shows a true color. I liked this frame best for the map that I am framing. The color blends beautifully with our mid-century decor, and the small profile of the wood works perfectly for our artwork. I liked the way it shows with the picture. Style and color that I required. Excellent price. nice simple proper frame. excited to get them all! CAN WE RETURN FRAME IF ARRIVED BROKEN? Thank you for your inquiry. You can certainly get a return or a replacement for a broken frame. Please contact our friendly framing experts a 1-800-332-8884 Monday - Friday to initiate the process. We look forward to hearing from you soon.